Retainers are designed to help keep your teeth straight once you’ve completed your orthodontic treatment. You have worked hard to get them straight, but your teeth can move throughout your lifetime. Wearing your retainer will help prevent your teeth from becoming crowded or crooked again. You may notice a slight lisp in your speech for the first few days, until you learn to talk with the retainers in. Your mouth may also be slightly sore for a few days; over-the-counter pain relievers can help. Wearing your retainer : We ask that you wear your retainer all of the time for one year, and after that just at night time. Retainer wear is a lifetime commitment so if your retainer stops fitting correctly or you lose it, call us immediately. If we are not contacted and movement occurs, you will be responsible for the cost of re treatment. 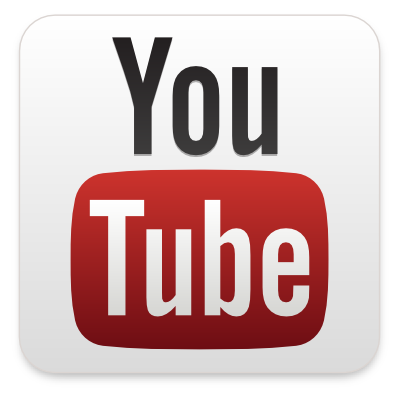 If you break your retainer, bring it in with you to see if we can use the same wire to make your replacement retainer. Rinse your retainer with water when you take it out. Your retainer should always be in your case when you are not wearing it. When removing your retainer pull from the back and work your way forward. This will prevent bending the wire in the front over time. Brush your retainer with water and your toothbrush when cleaning it. Do not use toothpaste. However, you may use soap. Additional cleaning may be done with retainer or denture cleansers. Simply follow the directions on the package (do not use more than once a week). Please do not rinser retainers with mouth wash. It will damage the retainer. 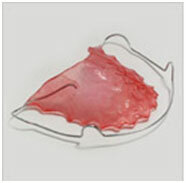 Since the retainer is made of acrylic, heat can damage it. Never expose it to heat sources such as: hot water, direct sunlight, the heat of a parked car, or other heat sources around the house. Pets are attracted to the retainer because of food that has been in the mouth. Never leave the retainer where pets can get a hold of it. Never chew gum with the retainer in. Gum can be extremely difficult to remove. You will need to wear your upper removable retainer all the time for 3 months, and after that you may go to night time wear. Follow all care instructions stated above to care for your removable retainer. If your removable retainer stops fitting correctly or if a spot on your PSR comes off please give our office a call ASAP. If we are not contacted and movement occurs, you will be responsible for the cost of re-treatment. Brush thoroughly around the PSR to ensure that all food debris is cleaned from around the wires. Flossing under your retainers is also essential to your periodontal health. Floss threaders can assist you with flossing beneath your fixed retainers.